To make clean Chandigarh, slums must be took off. They are called the black spots on City Beautiful. A few years ago, the city had a smattering of them. Today, most of them have been rehabilitated, but the three settlements of leftover shanties with their open drains and filth belie the city’s claims of cleanliness. The UT administration had set a deadline of March 2017 for the resettlement of all its slum-dwellers but their ever increasing number is making it an uphill task. At present, more than 25,000 people live in the three existing slums of the city. Even though Municipal Corporation claims to have deployed a strong force of safai karamcharis for cleaning up Colony No. 4 and Sanjay Colony, a visit to these areas leads to heaps of garbage piled up on sides of the road. Sewage flows in the open and stagnant water is a common sight. They also lack basics such as proper shelter, drinking water, and toilets. Most of shanties are cluttered and have little ventilation. Shakti Devshali, BJP councillor of ward number 20, says he seldom sees any safai workers in the vicinity even though the MC claims to have deputed 40 workers for Colony No. 4 alone. “The major problem is that of open drains,” complains Devshali. “The MC safai karamcharis,” he adds, “only clean up the outer roads and don’t step inside the colony.” While some MC officials blame the slum dwellers for not keeping their surroundings clean, former Congress Member of Parliament from the city, Pawan Kumar Bansal, feels it’s the duty of the corporation to ensure the basic level of hygiene for these squatters. Former BJP MP Satyapal Jain says, “I think the problem of the colonies is settlement and encroachment. When it comes to living conditions, an officer of the MC or administration should try staying in Colony No 4 for a day to understand the plight of the dwellers. 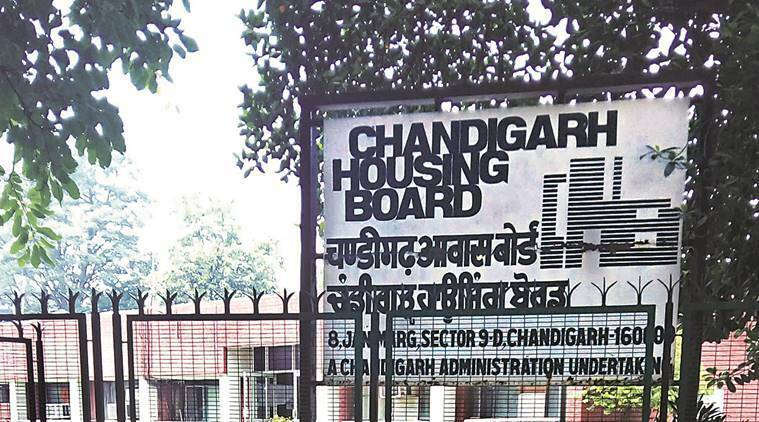 As part of its drive to make the city slum free, the administration assigned Chandigarh House Board the task of constructing dwelling units for slum-dwellers under the ‘Chandigarh Small Flats Scheme 2006’. The scheme aimed to build 25,728 small flats to rehabilitate the squatters. A total of 8,448 flats in Dhanas were given to the residents of various colonies in 2013. According to a biometric survey conducted by the UT administration, there were 18 slums in the city in 2006. Fifteen hundred flats have already been handed over to squatters in Mauli Jagran. Now around 4500 flats are being built in Maloya. It was last year that the administration removed and rehabilitated three slums – Lal Bahadur Shastri Colony in Palsora, Ambedkar Colony in Hallomajra, and Kabaddi colony in Industrial area. The ‘Small Flat Scheme – 2006’ was notified on an affordable monthly license fee basis (in the range of Rs. 800) to the slum dwellers. Under the scheme, 23,841 bio-metrically identified families of slum-dwellers are being rehabilitated at eight locations in the city. In 1950, slums had begun to sprout in Sector 7, 17, 19, 24, 35 and near Capitol Complex. Most of these squatters have been rehabilitated in 23,000 dwelling units in slums in various parts of the city. Over time, they spread to Sector 25, Sector 26 Bapu Dham Colony and Industrial Area-1. Then came up Colony number 4 and 5, Janta Colony, Kumhar Colony in Sector 25, Adarsh Colony near Palsora, a labour colony at Industrial Area-2, Rajiv Colony near Sector 38 and Nehru Colony near Sector 53. The other slums that sprouted included Madrasi Colony, Rajiv Colony, and Sanjay Colony. The majority of squatters are from Bihar, Uttar Pradesh, Rajasthan. The city saw a huge wave of migrants between 1971 and 2011, most of whom have settled here. They range from domestic workers, vendors, scrap dealers and cobblers to masons and rickshaw-pullers.